Digital platforms, or the collection of cloud-based software and services businesses utilize, have continued to evolve over the past several years, with 2017 paving the way for more decentralized networks, even further digitalization and third-party partnerships within the enterprise. Companies across various industries started to shift even more focus, and investment, to the digital landscape, with PaaS, or platform-as-a-service, and IaaS, or infrastructure-as-a-service, giants like Amazon reaping the rewards. Businesses built on, or which had core business functionality moved to, digital platforms have become increasingly prevalent over past couple of years. 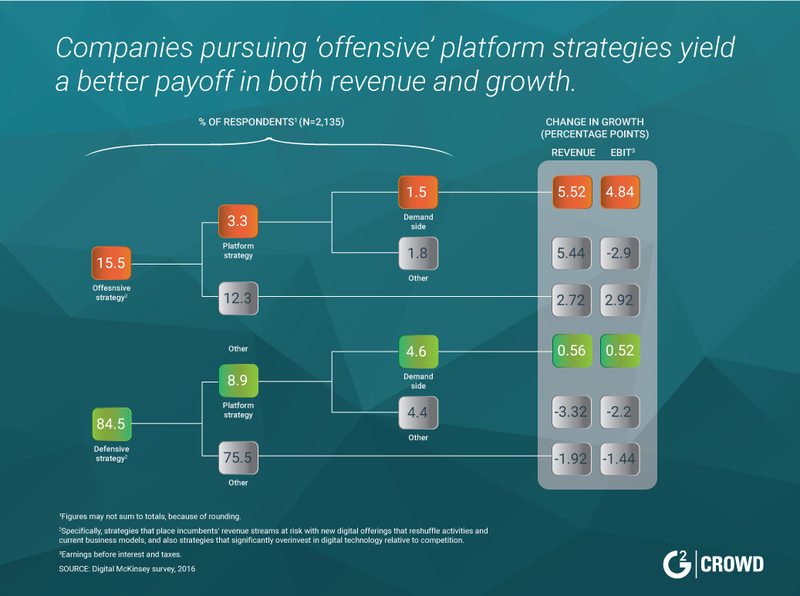 The companies more willing to adopt platform strategies and risk revenue streams by moving toward new digital offerings have also seen positive financial results. Looking ahead to 2018, the platform phenomenon is poised to extend its tendrils even further into the global economy, influencing business models and the market in innovative ways. Distributed network solutions, like blockchain and new IoT influenced ecosystems, are impacting everything from cybersecurity and financial services to the healthcare industry. While the term “digital platforms” includes anything from search engines (Google and Bing), to social platforms (Facebook and Snapchat), all the way to IaaS providers and PaaS providers (such as AWS and Azure), digitalized business technology is becoming increasingly refined. Within the overarching evolution of digital platforms live multiple, more granular trends that will continue to have a significant impact on the way businesses behave and operate. 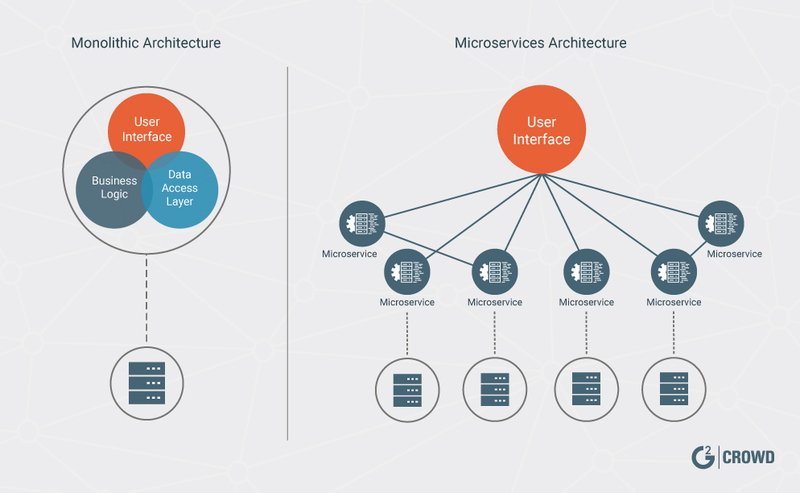 Microservice Architectures: The agility and flexibility offered by microservice architecture has reshaped SaaS, or software as a service, and business models in the past several years. We should see an increased emphasis, especially in the enterprise, on the adoption of agile and DevOps methods in 2018. Containers: Watching the container market grow in 2018 will be exciting to watch, especially as more companies move away from monolithic system architectures and toward containerized environments. Kubernetes, the open-source solution for container management, is primed to extend its reach as more companies build containerized applications and utilize microservices. Serverless Computing: Serverless computing allow businesses to use a third party to manage servers, databases, application logic and other core business functions. This level of convenience and the cost-reduction possibilities will be an enticing prospect for businesses in 2018, though the level of investment will likely rest on enterprise companies’ willingness to change. Ecosystems: The concept of digital ecosystems encapsulates the trends above, focusing more on the digital partnerships companies are willing to enter into to manage core business functions. With the importance of soft skills, or personal attributes that demonstrate social and emotional intelligence, being re-recognized yet again, companies like Amazon and Microsoft will continue to reinvent customer value through business relationships in 2018. New business ecosystems, along with advancements in microservice architecture, containerization and serverless technology, have allowed for the integration of core business functionalities with third parties and their platforms. This not only gives companies more operational agility, but also moves past the idea of short-term profitability and provides a more holistic vision for long-term growth and value creation. If you want to be successful, it’s all about providing the best outcome to your customers. The departure from the onus placed on business activities that only support immediate profit is driven by the emphasis on providing the best possible user experience for the customer. In doing so, companies like Amazon, Google, Facebook and Apple strive to create “sustainable customer value” that leads to both increased customer retention and acquisition. Long-term value chains that focus on the customer experience are driven by the idea of outcome as a service, or OaaS, which focuses on the outcome a product provides to the customer instead of the products themselves. If a company like Nest or Honeywell is selling you a thermostat for your home, they are in fact selling you a service that makes your house your preferred temperature. And if you want to be successful, it’s all about providing the best outcome to your customers. As more and more businesses embrace OaaS and the migration of core applications and activities outside of their own walls, they are met with a critical decision of who to trust with the majority of their company composition. This dramatic shift from self-reliance to a distributed ecosystem of digital partners is more than just utilizing a digital platform, but is in fact going beyond platforms to build relationships with those who will influence the next generation of business services. While all five of these aspects are distinct, they are also dependent on each other for success. Advancements in digital platform technology have helped modernize all business areas listed above, driving companies toward positive digital partnerships and growth through the development of innovative strategies and the models in which they operate. Before digging too much further into how digital platforms are going to modernize businesses and influence consumers in 2018, it is important to understand its past and the evolution of digital business models as a whole. The shift to digital platforms from monolithic architectures and rigid business processes was first made possible by the ultimate platform: the internet. Microservice technology, containers and serverless all contribute to the evolution of digital ecosystems and the impending shift to more third-party involvement and business process as a service, or BPaaS. “Business model innovation is arguably the most impactful change that the growth of the internet has enabled,” Fauscette said. BPaaS itself was bred from the rise of digital platforms and the overall push for business modernization, as outsourcing solutions are fizzling out of the business world. The businesses that stick out immediately are digital native companies, or companies founded with exposure to digital technologies, like Uber and AirBnb that started and monetize on a fully digitized platform, but there are also plenty of “pre-internet” companies like GE that have adopted innovative business models to adapt to the evolving digital economy. Digital platforms have risen as businesses have become increasingly eager to modernize and disrupt existing markets. These platforms can be thought of as the catalyst for digital transformation, constantly allowing for the invention of more successful and efficient business models within the digital realm. The impact digital platforms have had on businesses is indeed massive, further connecting buyers and sellers across an ever expanding cloud environment. Yet, even though modern startups and growth companies understand the power of operational agility and flexible cloud infrastructures, changing business models and moving legacy applications isn’t as comfortable enterprise companies. Looking specifically at the way business models have evolved over the years, and the business problems the ever-changing digital ecosystem means to improve, sheds light on the path from physical-asset-centric models to what we now refer to as digital transformation. Here are four business models, with slightly altered names, that the vast majority of companies fit into (according to OpenMatters). Companies that fit in this bucket build, design, and develop physical assets to make, market, distribute, lease and sell physical products. Examples span across multiple industries, including automakers like Ford, big box retailers like Walmart, and distribution and delivery businesses like FedEx. These companies employ specialists and consultants who provide specific services to customers or produce billable hours for which they charge. Examples include consulting firms like Accenture and Deloitte, as well as financial institutions like JP Morgan. This is where cloud computing makes a big entrance, including companies that develop and sell intellectual property such as software, analytics, pharmaceuticals, and biotechnology. The most obvious examples include software companies like Microsoft and Apple, along with big data tools and business intelligence platforms like IBM Watson. These companies utilize digital platforms and aim to create a network of peers in which the participants interact, collaborate and share in the value creation of the entire experience. They may sell products or services, build relationships, share advice, give reviews, co-create, and much more. Examples include social media platforms like Facebook and Instagram, and credit card companies like Visa and Mastercard. Asset constructors date all the way back to the Industrial Revolution, when business was driven purely by factories and the development of machinery. Business service providers developed in the mid-1970s, when companies had the revelation that there was an untapped market for companies to actually service products after the initial sale. Then came the information revolution during the 1990s, with the concept of cloud computing being realized in the late 90s-to-early 2000s by the likes of Salesforce.com and AWS, due to increased internet bandwidth that was previously unattainable. Digital orchestrators were the first to start embracing technological trends, such as the cloud, analytics, social media networks and mobile technologies (and more recently big data, AI, IoT and augmented and virtual reality), and implement and evolve business operations and value chains as new technologies were conceived. The introduction of digital platforms allowed for a new era of data-driven businesses that’s value lived within the customers themselves. Communities of individuals contributing to and engaging with these platforms began providing companies with unique datasets through their interactions, creating a growing source of monetization opportunities for businesses. The ability to share and store data across platforms revolutionized the way businesses market, strategize, and operate. As a result, alongside equally as significant advancements in hardware, consumers’ behavior and expectations dramatically shifted with the newfound accessibility of information and digital experiences. The present need for consistent, engaging and evolving experiences across digital platforms is both a challenge and an opportunity for businesses hoping to create a seamless and compelling user experience across channels. With so many platforms now available to businesses and consumers, platform service providers and businesses utilizing these services need to be more innovative than ever before to satisfy the demands of their customers. As digital transformation influences the market strategy of modern businesses, enterprise companies and startups alike are leveraging digital platforms to help harness this shift in customer interaction. 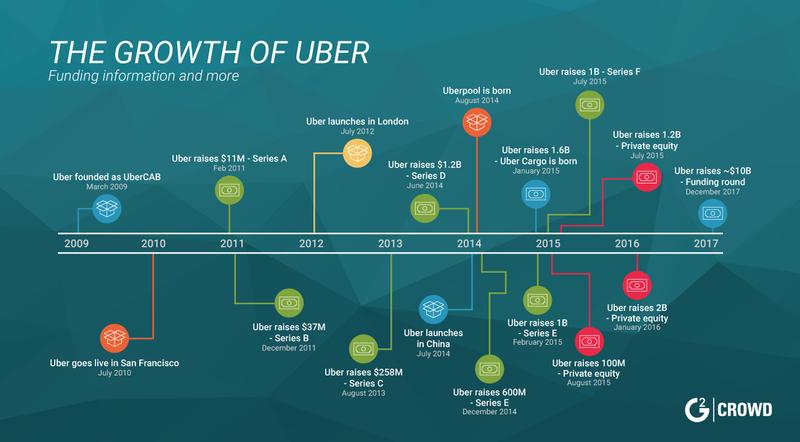 Unicorn startups (valued at more than $1 billion), such as Uber and AirBnb, have already proven that there is plenty of power, and money, in building a business solely on a platform model. This power, however, still lies in a company’s ability to provide an unrivaled customer experience, connecting buyers and sellers with a product or service that is most useful to the individual. The concept of a fully fledged, customer-facing approach mixed with platform thinking extends beyond IT infrastructure and into marketing efforts. Ecommerce platforms like eBay, Etsy and Amazon led the way in this sense, shifting the focus from only distribution and sales to investing and developing engagement platforms that lead to the co-creation of value on both sides. One of the most impactful models created by the introduction of digital platforms is the online marketplace. It allowed a company like Amazon, which once monetized through direct selling, to provide an ecommerce platform for consumers to purchase from third-party sellers. The Salesforce AppExchange, and Salesforce AppExchange tools, operate using the same principles, allowing for B2B transactions involving business software applications. Digital platforms allow for companies to pursue and create new business models that connect buyers and sellers. The advantages offered by digital marketplace models supports the movement we are seeing from larger companies to create new, distributed ecosystems of data, people, processes and things. The more recent surges of innovation around digital platforms and its emphasis on the customer have been driven by three transformative technologies: cloud, social and mobile. Cloud computing has provided a global infrastructure for production, providing marketers and developers to create content and applications for an international audience. Social networks connect people from across the globe through a connected network. Mobile devices further extend access to this global infrastructure at any time, from anywhere. The result from the evolution to a platform-enabled economy is a globally accessible network of connected entrepreneurs, professionals and consumers who build businesses, contribute content, develop applications, and purchase goods and services. Digital platforms allow for companies to pursue and create new business models that connect buyers and sellers. With the performance and convenience of IaaS being heavily impacted by microservice architecture, containers and serverless tech, coupled with the impact of augmented reality and virtual reality on customer experience and vertical industry applications, the platform ecosystem is ripe for development. Gaining and maintaining a competitive advantage for today’s businesses has never been more challenging and elusive. However, the emergence of these challenges also means an increase in opportunities “to build and scale a company with global reach,” according to Fauscette. Digital platforms have now become the new hub for business innovation, with emerging technologies providing the means to develop increased value adds and business models with superior performance and efficiency. The new waves of technology, along with buyers and sellers, are becoming even more interconnected and interdependent than previously imagined. The movement from monolithic server architectures and waterfall models, to microservices built within containers and agile or “DevOps” models is a direct result of the ability for digital platforms to support increased performance and portability of web applications. Digitally native retailers are currently running circles around legacy retailers conceived in the late 90s. These modern companies are doing so through their innovative use of microservices, and will continue to do so in 2018. Amazon itself handles an estimated 50 million deployments per year to development, testing and production hosts. The speed and flexibility provided by microservices allows the e-commerce giant to iterate on new features in a matter of hours as opposed to months. Driven by the agility and modular nature of microservices and the migration of core businesses functions to ecosystems, more large companies will begin to transfer legacy applications, that are likely run on internal servers or a virtual machine, to a container-based infrastructure. Containers break down web applications and provide a flexible, modular platform to organize and distribute applications –– this differs greatly from virtual machines used in monolithic models, which run entire applications on one centralized machine. This type of distributed cloud computing allows for microservices to exist, where development teams can isolate and work on different aspects of the application simultaneously without affecting the others. The structure allows for continuous deployment and more control over resource allocation, which can improve performance and scalability. Innovation in containerization has led to a budding industry which provide microservices to countless SaaS providers. The containerization market grew 40 percent from 2016 to 2017, and there is no indication that its market growth will decelerate in 2018. The container, or container as a service, market already makes up roughly 10 percent of the cloud computing industry despite its relative newness to the digital environment. Docker and Kubernetes are the two names in the container world you’ve likely heard, and for good reason. According to the Rightscale 2017 State of the Cloud Report, Docker and Kubernetes are the top DevOps tools companies are planning using going forward. Housed within the digital platform ecosystem, the container ecosystem has also evolved a significant amount over the past several years — products have been developed to manage and improve the performance of applications powered within container engines. These subsets will play a large role in the evolution of containerized environments in 2018. With more of the enterprise building digital relationships with third-party PaaS and IaaS providers, the container market will be ripe with opportunities to offer niche service applications to meet the needs of the movement to a more digitalized business model. 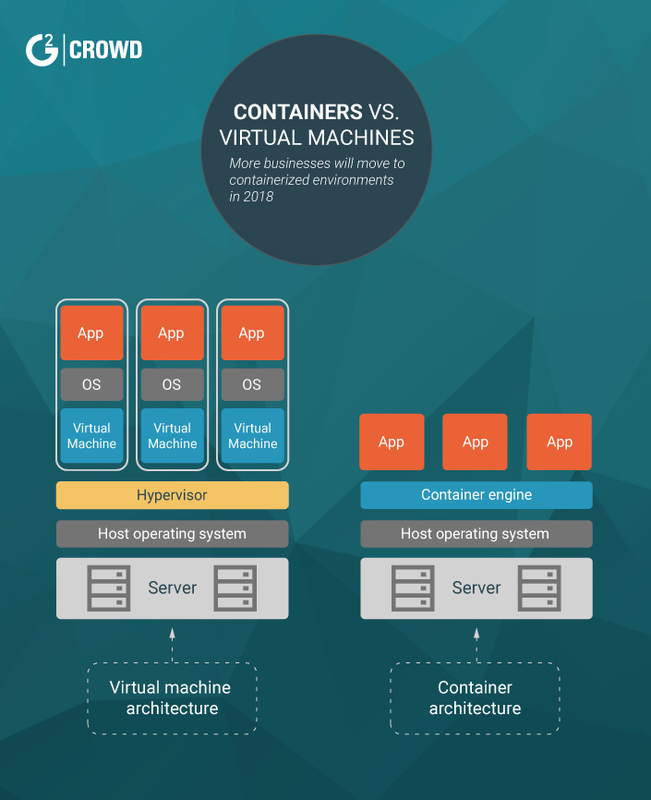 The increasing popularity of digital ecosystems and serverless tech will likely see the enterprise shift toward the adoption of containerized production environments instead of building applications in-house on internally supported containers. As more companies adopt or shift to agile cloud platforms, the flexibility offered by containerization becomes even more essential to business strategies. When you break serverless computing down to its simplest form, it is essentially utilizing companies specializing in BPaaS –– it allows businesses to pay a third party to manage servers, databases, application logic and other core business functions that have been primarily managed internally in the past. 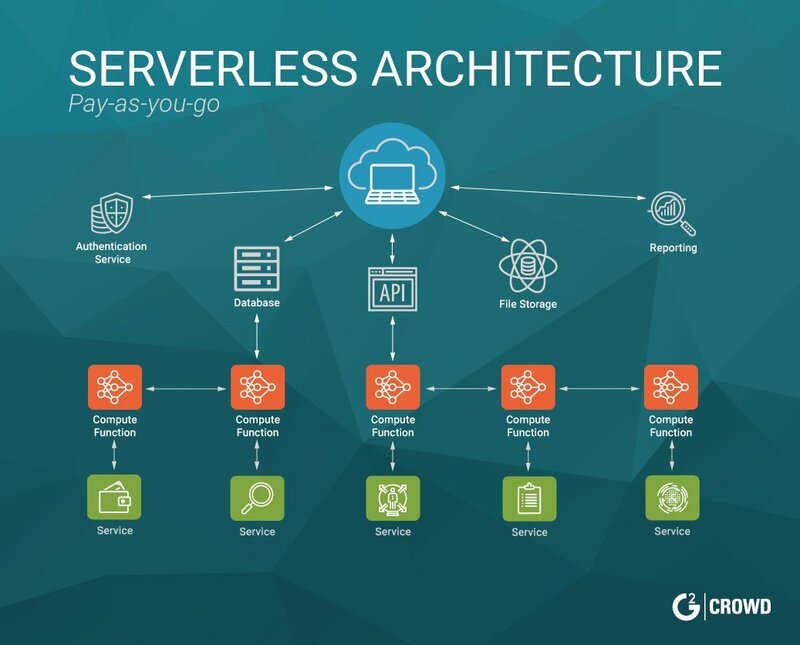 Serverless architectures refer to applications that significantly depend on third-party services like IaaS and BaaS, or on custom code that’s run in ephemeral (temporary) containers. This has been referred to as FaaS, or function as a service, of which AWS Lambda serves as the best current example. Using FaaS allows for this activity to move to the front end, ultimately creating an architecture that removes the need for a traditional server system that sits behind an application. These serverless systems can significantly reduce operational cost and complexity, but the shift to this model certainly places a dependence on third-party vendors and the currently immaturity of the market in general. FaaS, put simply, allows businesses to run back-end code without managing any of your own server systems or server applications. This is a major shift from traditional architectures, moving from a linear, underperforming model to a low-maintenance, flexible architecture operated by a third-party vendor like AWS Lambda. AWS Lambda is a perfect example of FaaS in action, letting companies run code without provisioning or managing servers. Lambda, and products like it, allows companies to simply upload their desired code to the platform and takes over from there –– the third party assumes responsibility for managing everything required to run, maintain and scale your code with high availability. The future of serverless computing is dependant on so many factors, primarily because it is still in its infancy as a technology. It has a massive correlation with the emergence of ecosystem services, and with edge computing burgeoning as well, processing speeds and overall business performance could soon see massive increase in efficiency. Serverless will likely take several years to fully mature, as it is even more undeveloped in comparison to containerization. However, 2018 should see FaaS gain traction and not only improve platform and database management, but also have a dramatic impact on the workforce and resource management. As more companies adopt platform models, the way leaders choose to build their portfolio of digital partners is becoming increasingly important. Enterprises across industries are now integrating core business activities with digital platforms, providing innovative services and better outcomes for businesses and customers alike. Core business functions, from product development to customer service and machine maintenance, are now heavily reliant on a robust network of digital partners. Long gone are the days of developing and managing all business activities internally. In the 2016 State of the Cloud survey, 95 percent of respondents reported using public, private or hybrid cloud technology; and the CIO Strategic Partner Index run by IDC reported that 29 percent of IT leaders are spending more than half their IT budget on external providers. The increased importance of these new digital relationships points to a much deeper strategic shift for businesses. Ecosystems are not simply an extension of current value chains, but rather new, multidimensional platform stacks that are redefining industries. This is predominantly due to the fact that each time an enterprise company decides to leverage a third-party platform to support business activities, it is choosing the partners it will rely on to build the next generation of services for its company. Businesses must utilize digital ecosystems through tactical decision making that focuses on long-term growth if they hope to remain competitive in the long run. By taking this step, companies will lay the foundation for building future digital value chains and improve their positioning at the center of emerging digital markets like containerization and serverless technology. Companies within the enterprise have already taken notice of the platform phenomenon and are taking action. In 2016, General Motors kicked off the year with a $500 million investment into rideshare platform Lyft. The move gave GM the inroads to launch its Express Drive service, which enabled successful, car-less Lyft applicants the ability to lease a car and get to work immediately. New IoT-enabled digital ecosystems, such as connected homes, precision agriculture and connected health, are still in their adolescence. However, companies are currently determining who their partners will be and what their roles in these ecosystems will be. GM and Whole Foods acted early, the latter with help from Amazon, both making tactical decisions to best serve long-term business strategies. Essentially, every decision a company makes when selecting technology providers today will shape the structure and success of their ecosystem. Choosing AWS for your IaaS solution and Docker or Kubernetes for container management means not only a financial investment, but an investment in a business relationship that will impact your business in the coming years. These digital ecosystems will continue to grow in 2018, with a strong emphasis on improving both B2C and B2B customer experiences. Microservices, containerization and serverless all have a role to play in defining these ecosystems, moving the enterprise and legacy applications to digital platforms. Many businesses, especially in the enterprise, are still heavily reliant on monolithic architectures and vertical deployments of legacy applications. More companies will move to hybrid-cloud or digitized environments with a combination of the speed offered by APIs and microservices. 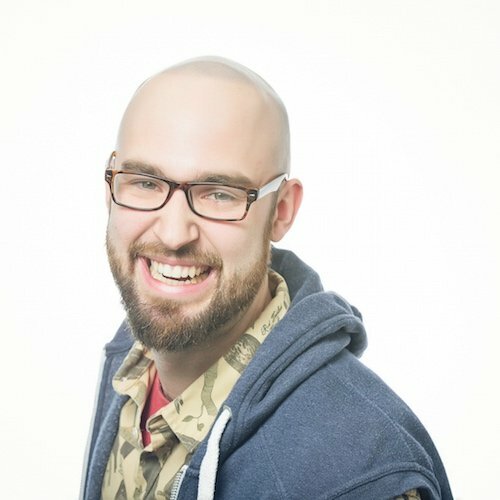 They really go hand in hand, but both microservices and containerization will experience a greater level of adoption than in previous years, and both markets will expand significantly. With so much buzz around cybersecurity incidents like the Equifax breach, the push to further foil hackers will continue. The ability to isolate deployment environments through microservices could potentially limit the damage from cyber infiltrations. This has arguably been happening for the past several years, but businesses unwilling to depart from a monolithic architecture will begin to lose more ground on their competitors. As the enterprise builds digital relationships with third-party PaaS and IaaS providers, the container market will be flooded with opportunities to offer niche service applications in 2018. Amazon’s EC2 is a good example of this, as it continues to aim to manage all compute management functionality with the assistance of AWS Lambda and serverless technology. There is plenty of attention surrounding serverless, meaning that there are growing opportunities for development, monitoring and security tools to specialize in serverless functions. Larger companies will invest more money in these innovations, helping prepare for the shift to serverless. With businesses investing heavily in security software, the growth of serverless will have an impact on the volume and severity of cyber attacks in 2018. AWS, Azure and others will focus even harder on providing the enterprise and other companies with the best possible experience in 2018. Amazon has always been ahead of the curve when it comes to creating the ultimate customer experience, and 2018 will be more innovation with the same purpose. Companies utilizing multiple-industry ecosystems will increase their reliance on digital platforms and should start to see return on investment in 2018. We have come a long way since the Industrial Revolution. Through countless updates and modifications to business models, digital transformation has continued to impact the way companies think about and operate businesses today. The speed and agility provided by digital platforms has been accelerated by the likes of containerization and microservices, making applications’ performance immeasurably better. This level of performance allows Google, Apple, Facebook, Amazon and other enterprise companies to delve even further into the psyche of the customer, paying or non-paying, by delivering on the concept of creating “sustainable customer value” instead of looking at short-term profitability. New digital ecosystems, microservices, containerization and serverless technology are poised to have a big year in 2018, further supporting the transition to a platform economy. Embracing digital platforms doesn’t simply reduce costs and overhead on hardware for businesses, but also promotes a business model that focuses on long-term growth, value creation and relationship building. Businesses are capitalizing on this increased velocity and desire for disruption with even less maintenance than previously imagined, with serverless technology allowing companies to easily manage apps and assets without the clunkiness and space limitations of a centralized virtual machine. Amazon — through a combination of serverless hosting, microservices and edge computing — gives businesses the ability to run and access apps through their platform from the closest possible entry point, without the upkeep and slower processing times of virtual machines. Throw mesh networking in the mix, which boosts signal strength by virtually duplicating a connected network of routers, and you are left with lightning fast processing speeds from the most secure, accessible server available. While cybersecurity threats still remain an issue with all of these advancements, blockchain and other types of distributed authentication tech aim to solve the increasing number of cyberattacks that continue to plague businesses. Ultimately, the introduction of new digital ecosystems will continue to revolutionize businesses throughout 2018. Many of these trends are still young, but digital platform decisions made today will impact business models and the market as a whole for years to come.